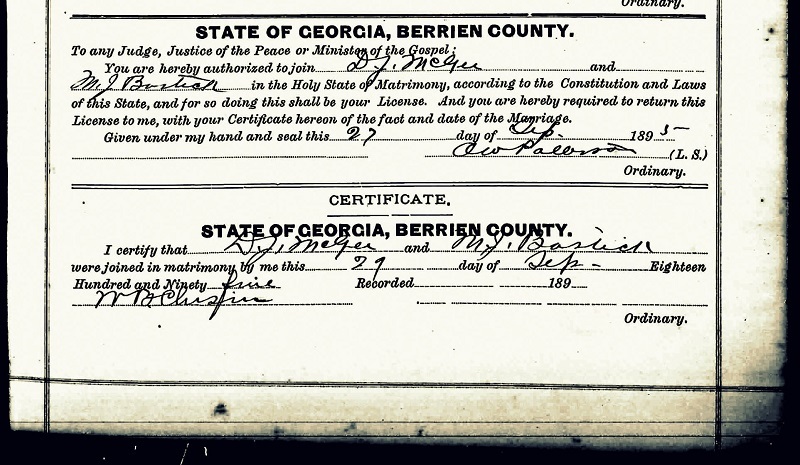 John Guthrie, folk musician and merchant of Ray City, GA relates the story of the Berrien Tiger. 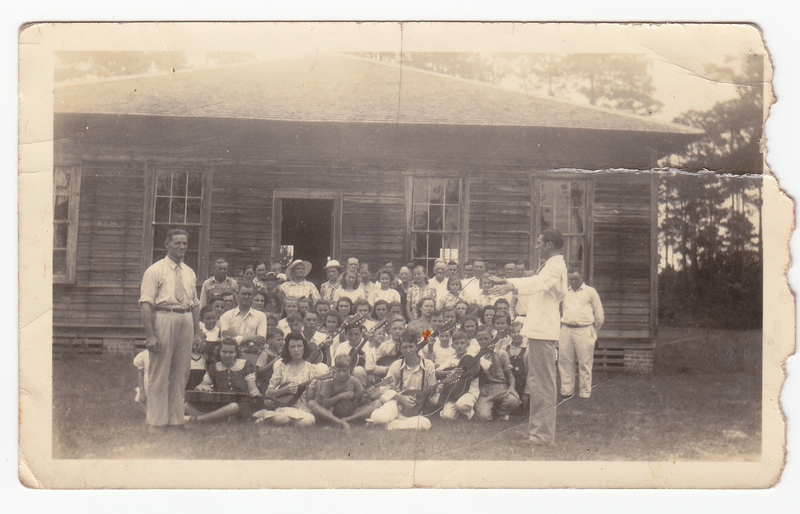 John Elwood Guthrie (1911-1985) , folk musician and merchant of Ray City, GA. Image courtesy Library of Congress. The legendary Berrien Tiger was a large panther that attacked two Wiregrass victims in 1849, before the creation of Berrien county, GA. Guthrie was a nephew of Hamp Guthrie, who was mauled by the big cat, and grandson of Martha Newbern Guthrie, who was an eyewitness. 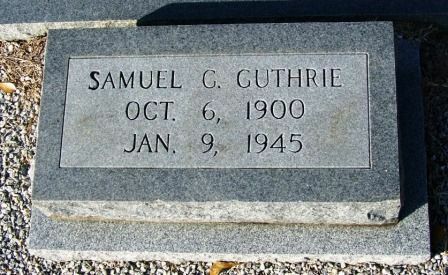 John Elwood Guthrie was a son of Arren H. Guthrie and Elizabeth Lucinda “Lucy” Newbern Guthrie. 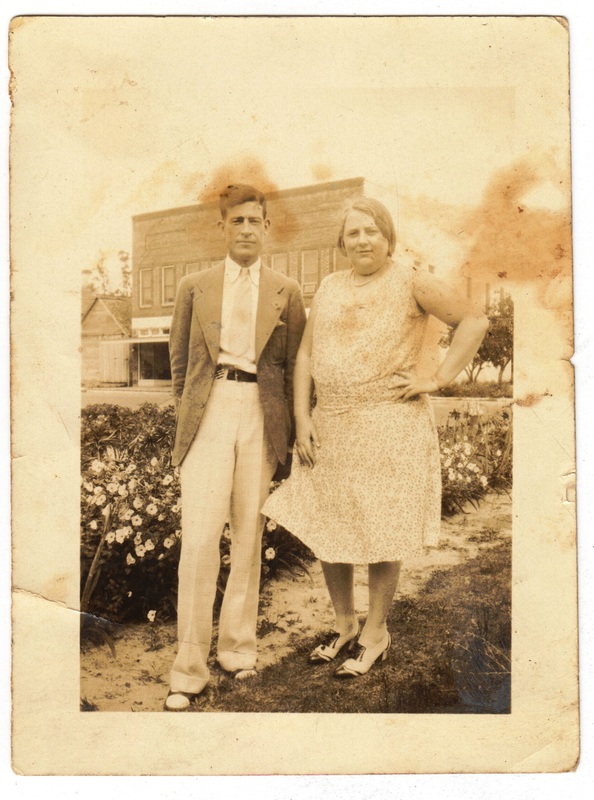 He moved with his family to Ray City in 1922 and attended the Ray City School. 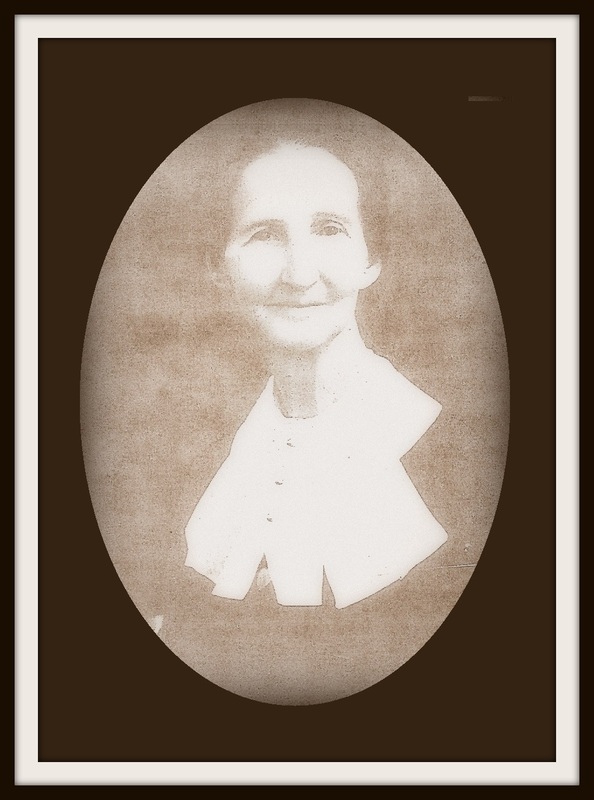 He and his parents and siblings resided on the the farm of his sister, Effie Guthrie Knight on Park Street. 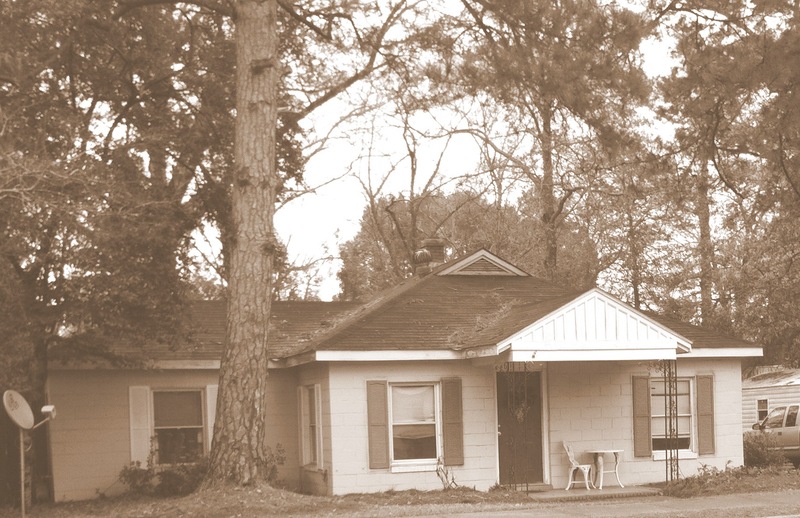 As a boy he attended the Primitive Baptist Church but later attended the Ray City Methodist Church. He married Madge Sellers and they made their home on North Street in Ray City. I was borned out on the Alapaha River. You want me to tell you a little story about the Alapaha River? OK. Now, believe it or not, now…if you want do a little research you can go back and find this story. Now my grandmother…she was about ninety year old when she first began to come to our house. 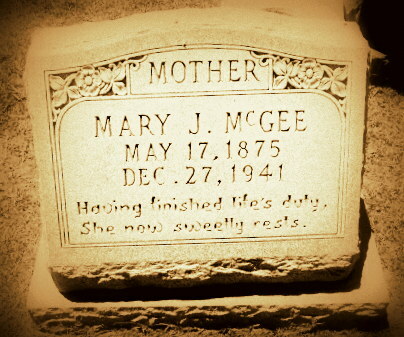 She’d sit in a rockin’ chair and all of us kids would gather up around her, and she would begin to tell us stories about the Civil War and things that happened back during that time. Here’s a story…now you can believe it or not. Now, it did appear in the Valdosta paper, the Valdosta Times, and also in the Berrien Press. If you want to do a little research you can look it up. But, it happened. A young boy back in those days, he went down on the Alapaha River a lookin’ for some hogs down there at was lost. And whiles he was down there they was some animal. Now, they said it was a tiger – now you can believe it or not – they said it was a tiger. But it appeared, now, in both these papers. They said it was a tiger. He jumped on this boy’s back, and he clawed him up, and bit ‘im, and he thought he had killed ‘im. And he tried to drag ‘im back in the river swamps down there. But he’s too heavy. He couldn’t carry ‘im. Instead, he covered ‘im up with leaves. Covered ‘im up with leaves. So this boy, when he came concious again, he was almost dead, but he got back ta house an he told his brothers and sisters and his parents an’ everything about it. Well, they formed a search party and they went down there lookin’ for this animal. They had their dogs, and their guns, and everything. That’s on Alapaha River, now, right over here. When they got down to the swamp, the dogs, the first thing, they began to bark, you know, and run all down the river swamps. Well, it wasn’t very long before all them dogs came back, and their hair was standin’ right straight up on their backs, up there, and they just whimperin’, the dogs. So, the men decided they’d go down there an’ see what had happened. Well, they went down there, and an ol’ uncle o’ mine, his name was Hamp -now, this is history, now if you don’t believe it you can go back and search. His name was Hamp. And, he was a little bit behind all the rest. Well, this animal, whatever it was, jumped on his back. Jumped on his back and he began to claw ‘im an’ bite ‘im, an’ almost killed ‘im. Some of the rest of the fellas in the search party looked around back there, and they saw what was happenin’ and they had a gun and they just shot whatever it was, if it was a tiger or whatever it was. They shot ‘im and killed ‘im. And when they killed ‘im, they had to pull his claws out of Uncle Hamp’s back, back there. Now, this is history, now if you won’t believe it, all right. If you don’t, you can go back an’ search the records, and that’s part of the history. Adler, T. A. & Guthrie, J. (1977) John Guthrie tells stories and plays guitar, Ray City, Georgia . Ray City, Georgia. [Audio] Retrieved from the Library of Congress, https://www.loc.gov/item/afc1982010_afs20900/ . Another clipping, circa 1983, from the Ray City scrapbook. 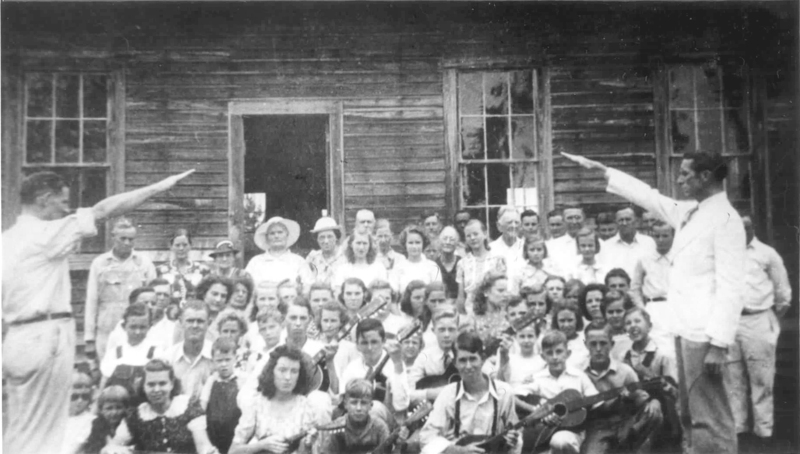 John Guthrie (1911-1985), subject of previous posts, taught music and entertained for six decades in Ray City, GA (see John Guthrie ~ Ray City’s Musician Extraordinaire). John Elwood Guthrie, Ray City musician and shopkeeper. 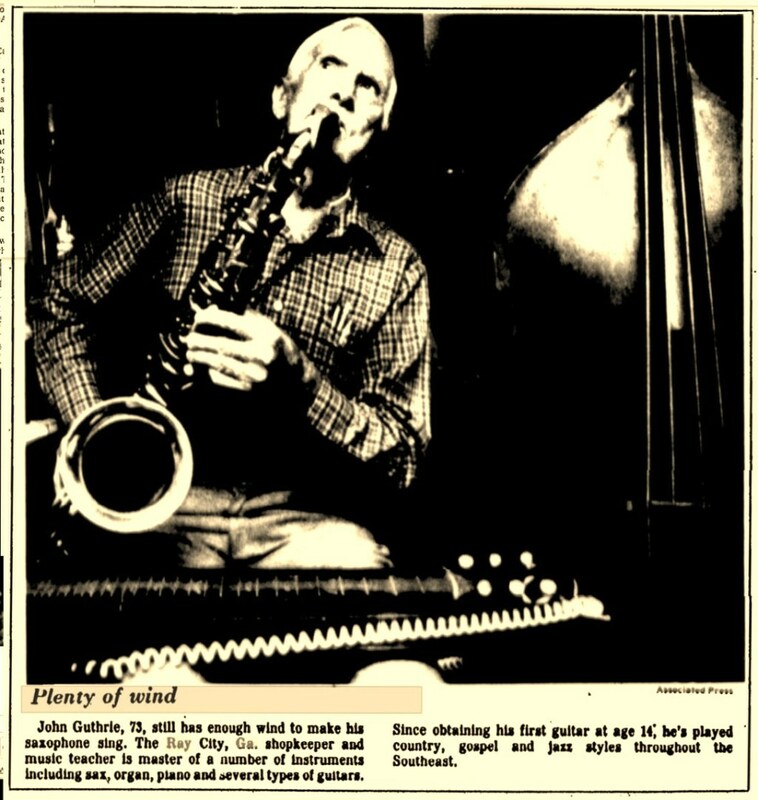 John Guthrie, 73, still has enough wind to make his saxophone sing. 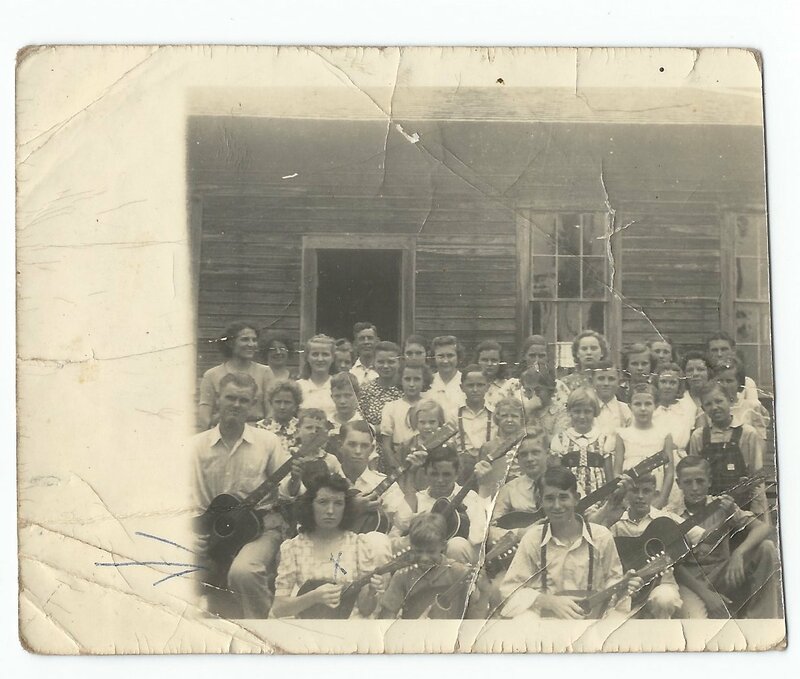 The Ray City, Ga. shopkeeper and music teacher is master of a number of instruments including sax, organ, piano and several types of guitars. Since obtaining his first guitar at age 14, he’s played country gospel and jazz styles throughout the Southeast.